Many homeowners and commercial building owners overlook the vital necessity to protect the outside of their structures from Florida wet climate. Waterproofing your Jacksonville exterior from moisture intrusion, leaks and wind driven rain can deter potential damage, frustration and expensive repairs. Pro Color Jax has executed waterproofing services & painting services in Florida for over 25 years. From ocean front high-rise buildings to residential, historical and estate homes. 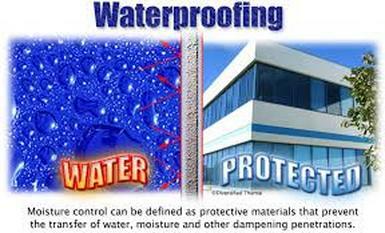 A company with vast knowledge & experience with waterproofing Florida homes and businesses. Call the top rated pros for Jacksonville waterproofing. Learn more about our waterproofing services and get your FREE estimate, by clicking the contact button below. Waterproofing is the most efficient way to preserve your exterior surfaces from moisture. Quality water-proofing services from Pro Color Jax.